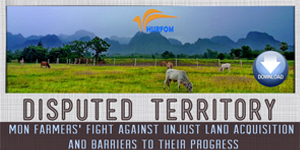 HURFOM has joined 148 partner civil society actors in calling on the International Coordinating Committee Sub-Committee on Accreditation (ICC-SCA) to postpone official international accreditation for the Myanmar National Human Rights Commission (MNHRC). From 16 to 20 November, 2015, the ICC-SCA, an international body comprised of accredited National Human Rights Institutions (NHRIs) and tasked with evaluating non-accredited NHRIs’ claims for inclusion, will conclude a review which puts the MNHRC on the table for international accreditation. 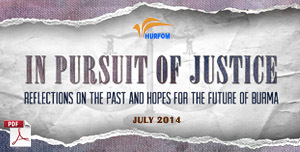 HURFOM calls on the ICC-SCA to postpone the MNHRC’s accreditation to a later date, given that the MNHRC is not supported by the people of Burma, nor does it reliably comply with the Paris Principles, which state universal standards by which all internationally accredited NHRIs are required to operate. 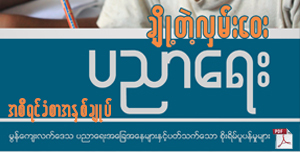 When established on 5 September 2011, the MNHRC announced that it aimed to raise human rights awareness among members of the public and would function according to the Paris Principles. However, the Burmese public and civil society have now lost their faith in the MNHRC, given that it has failed to address the many serious human rights violations that have occurred in Myanmar since it was created. 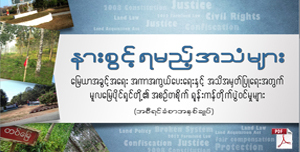 While the MNHRC has said that it is prepared to take action against all serious human rights violations, it has ignored violations committed by the Burmese military, claiming that it does not have the right to investigate these cases. For example, the MNHRC has repeatedly ignored the Burmese army’s ongoing use of sexual violence as a weapon in conflict, particularly in Kachin and Shan states. The MNHRC is guilty of various prominent failings. It failed to launch extensive inquiries into recent student demonstrations, where students were arrested for protesting, signaling a clear breach of their right to free speech. In such situations, the MNHRC is expected intervene forcefully, acting in a capable and honest way. However, it instead failed to act as demanded by international standards, neglecting its responsibility to protect students’ rights. 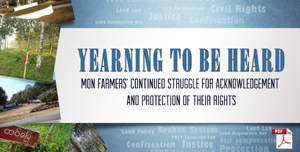 The MNHRC has also responded ineffectively to recent cases of religious conflict and the arrest of individuals involved in the land rights movement. Other prominent disappointments have included the MNHRC’s failure to defend Kachin man Brang Shawn against charges brought against him by the Burmese Army, and the MNHRC’s poor investigation of the killing of freelance journalist U Aung Kyaw Naing (a.k.a. Ko Par Gyi). The MNHRC does not exhibit the independence expected of an internationally accredited human rights body. All of the above failings can be attributed to the MNHRC’s complete lack of independence from Burma’s government and military. 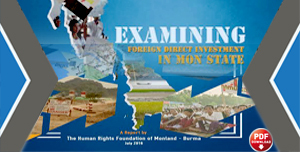 Overall, MNHRC investigations have served to protect the government and military, elevating their voices while neglecting those of civil society actors and ethnic populations. 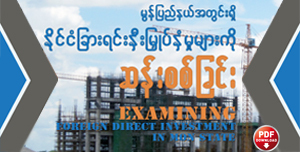 The MNHRC fails to be fully transparent. This is particularly clear from the process by which it selects its members. When the MNHRC chose new members in 2014, this was not discussed with parliament, nor was it raised with CSOs. Reportedly, even the commission’s previous members did not know that they had been removed from their positions. Such actions clearly fail to meet the levels of transparency expected of an internationally accredited human rights body. By withholding accreditation, the ICC-SCA will send a clear and public message to the Burmese government and MNHRC. Only by postponing accreditation can it be made sufficiently clear that the commission’s current conduct does not met the standards set by the international community, and that reform is urgently required. In order for the MNHRC to fulfill its duties and gain public trust, it must increase its levels of effectiveness and accountability. Further, the government should respect the MNHRC’s independence, allowing it to operate without interference. HURFOM believes that the MNHRC should not be accredited until these conditions have been achieved and the body complies fully with the Paris Principles.